As in case of the above situation, the users are stuck badly and they search for a solution to import contacts from XLS file to Android. Moreover, they want to know a simple and trustworthy method to transfer XLS contacts to Android. For this, first, you need to traverse this blog post to know why users want to transfer the contacts to Android. Why There is a Need to Import XLS Contacts to Android? 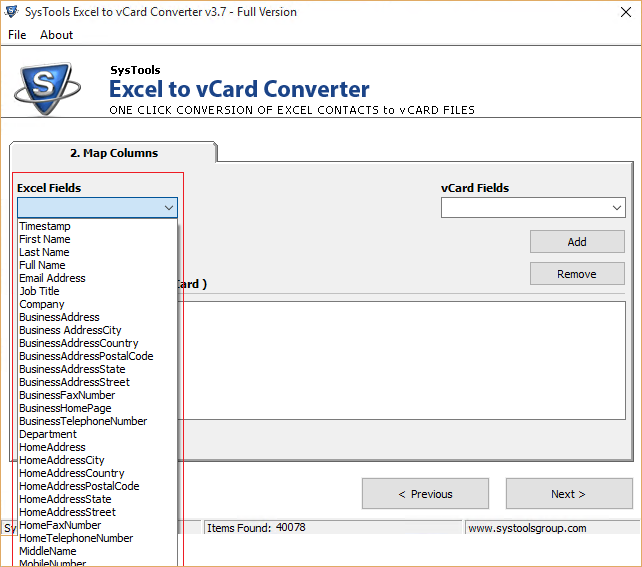 To do this, you can take the help of SysTools Excel to vCard converter tool. 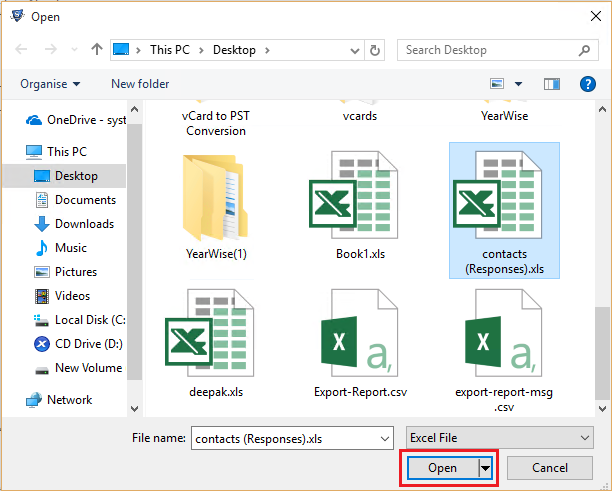 It can only work on your computer but, not on Android phone so whatever contacts are there in your Excel file must be on the desktop through which you can run the software. Now move to mapping option in which you must have to map the Excel fields with Outlook attributes. 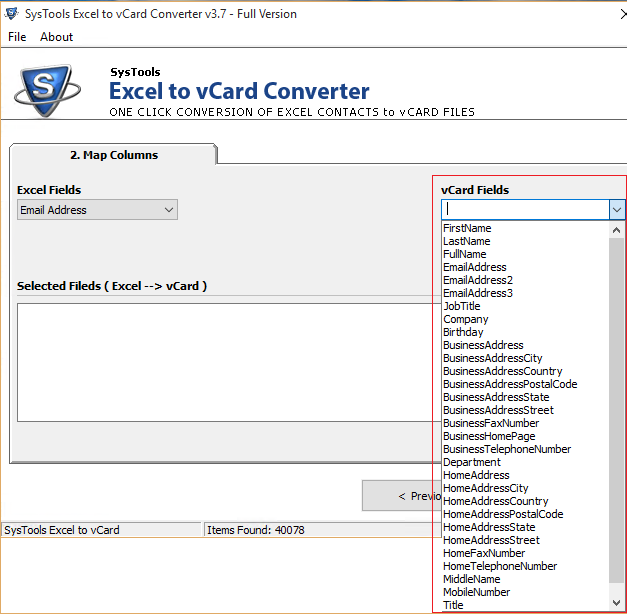 Then, choose a single field from the Excel data sheet. Then, check the options that you want the software will handle during the conversion process. Checking option will allow the software to move contacts with empty address fields. 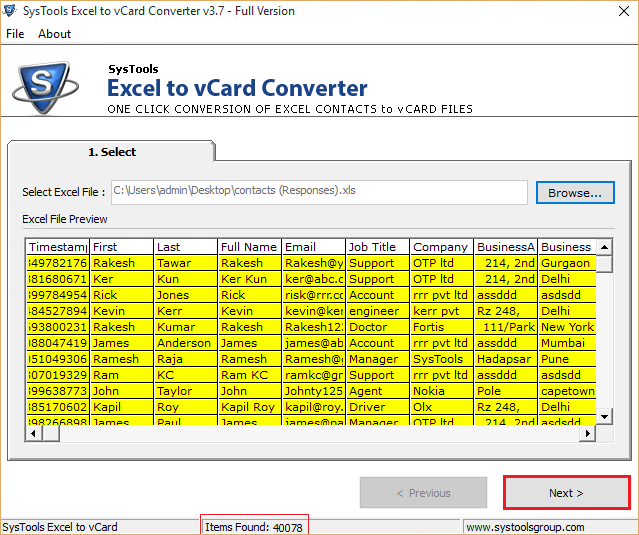 It can create one .vcf file for all the contacts and can also create individual vCard for contacts available in the selected Excel sheets. After that, click the Convert button to begin the conversion process. 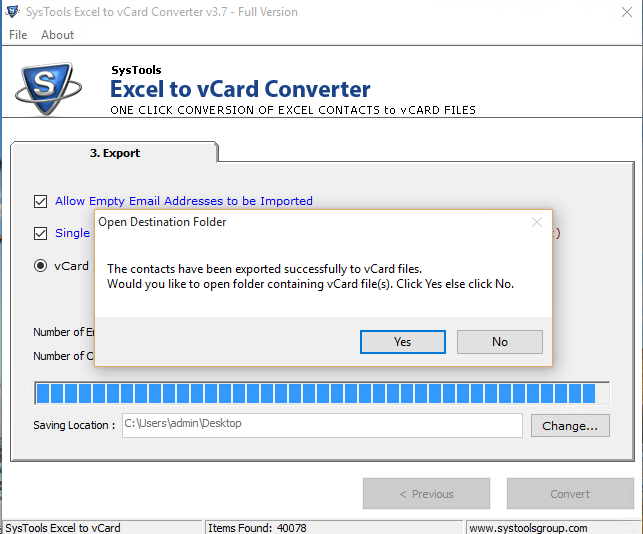 During the migration, the software will display some contacts and empty email addresses added to vCard file. Now, you have to connect the Android phone to your computer system and copy them to your device. Copying alone do not make each contact present in the contact address book. The process of exporting the contacts to address book that depends on the Android phone version. Generally, this option exists in People or Contacts App. Move to this application and click the Action Overflow icon. Note: Under any other Android phone, this option is present in the Menu Icon. Then, choose an option Import/Export. 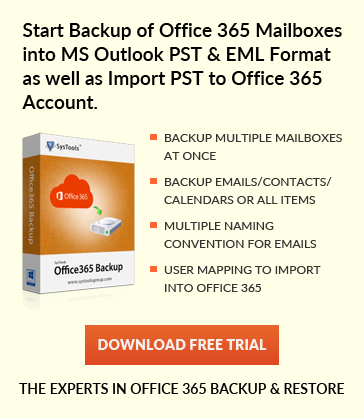 As our need is to import contacts that were saved by us as a vCard file. Select Import from the Storage command. (The alternative is available as ‘Import from SD card’). Afterward, choose where to save contacts in address book. 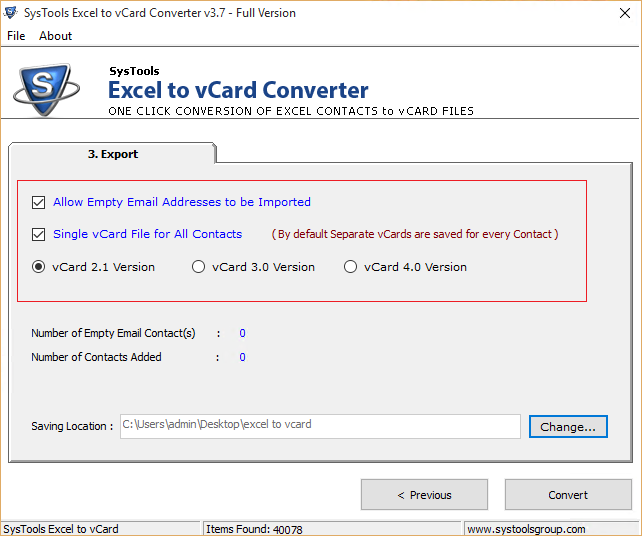 In case, this message ‘Import all vCard files’ is prompted then, click Ok This will help to export all contacts to address book. With this approach, you can convert XLS to Android contacts. Keep in mind you follow all the steps very carefully. For Apple Users: you may also be interested in Knowing how to transfer Windows contacts to iPhone. After considering the need of users, here we have come up with a complete process to convert XLS to Android contacts. 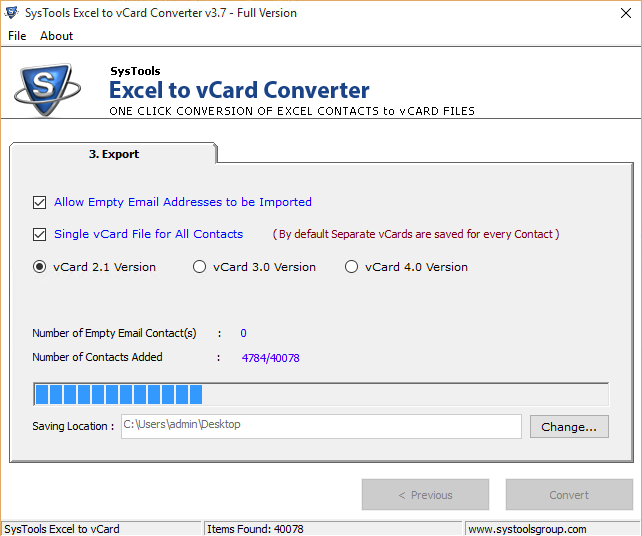 For this, first, you need to export XLS file to vCard and then, transfer this vCard contacts to your Android phone. This technique is safe and secure and it does not require any technical expert to import contacts from XLS file to Android.